We all know it's true, today's digital world has us hyperconnected. Though adjusting to some of these platforms can be challenging, there are vast opportunities for chiropractors to market themselves, their brand, and grow their reputation. Whether you start a blog, post regular videos on social media, or create an app with chiropractic tips, there is a method for you to connect with both new and current patients. 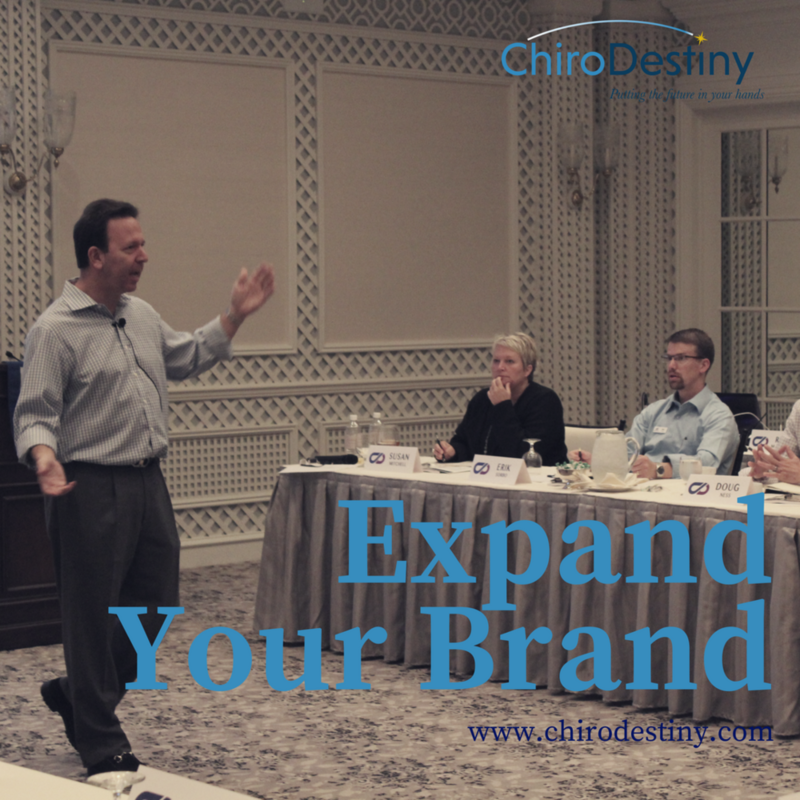 Here are a few suggestions for effective methods to boost your chiropractic brand. Event organizers and organizations are regularly looking for fairly priced informative speakers for training sessions, workshops, and conferences. These groups can include businesses, corporations, colleges, and even religious groups. Before you can offer your speaking services, you need to develop what exactly it is you want to communicate. The time requirement will vary for each event, but we suggest organizing your thoughts into a speech that is roughly half an hour. You can cut parts out as needed, or include additional information depending on the event topics, but your core message will remain the same. Write in a natural conversational voice, and be sure to use simple sentences and everyday vocabulary. Your audience will be looking for useful tips and specific examples or case studies, and will certainly appreciate any funny anecdotes you will have from your career experiences. In order to prepare, practice your speech or lecture in front of family members and friends. A great tip is to video yourself so you can see for yourself areas that need improvement, such as enunciation or gestures. Once you are comfortable and confident, start booking yourself for speaking engagements. Reach out to people you know and ask if they are aware of any groups seeking speakers and search the internet for such associations. Once you've got a few speeches under your belt, organizations might seek you out or you might get accepted into a speakers bureau. Are You The Next Big Author? Maybe public speaking makes you shudder. How about instead of writing a speech, you write a book or e-book? You could write it on your own, collaborate with an experienced author, or even hire a ghostwriter. Determine what topics should be covered in each chapter and unpack those subjects with the support of your own knowledge and experience, as well as research. A natural, plainspoken style and some funny and engaging stories will keep your readers interested. Once you've formatted and uploaded your e-book onto a site like Amazon, or once you've found a publisher to release hard copies, use your social media accounts to market your work. Contacting your local radio and TV stations and booking an interview is also a great way to get your work out to the public. Do you sell chiropractic supplies in your office? Well, why not online? If you haven't already developed a web presence, hire someone to create and optimize your website once you've registered a domain name. Your website is a great way to share compelling images of chiropractic products or videos demonstrating how to use them. With an e-commerce platform, you aren't limited to selling your products to the locals; you can introduce your office to potential new customers anywhere you'd like! As a chiropractor or member of a chiropractic practice, you might not have thought you would ever be a public speaker, author, or salesperson. These roles will allow you to connect with more people and share your message of preventing, reducing, and treating pain. Not only will you improve more lives, but you will also improve your brand!